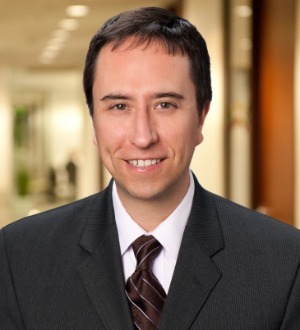 Navigating between regulatory compliance and litigation, the versatility of John Mills’ healthcare practice and the diversity of his clients provide him with a keen understanding of the unique business objectives and risks facing different segments of the healthcare provider community. Among John’s diverse range of clients are hospitals, ambulatory surgery centers, addiction treatment centers, community clinics and 340B covered entities, healthcare districts, physicians and other healthcare professionals, medical groups and IPAs, peer review bodies, management service organizations and medical billing companies, and pharmacies. John’s regulatory compliance work focuses on key issues facing providers that could potentially impede their business operations. He advises clients on managed care and ERISA compliance, voluntary disclosures of possible Medicare over-payments, medical staff and peer review, analysis of business arrangements to ensure compliance with the anti-kickback and Stark laws, and provides regulatory guidance to covered entities and contract pharmacies in connection with the federal 340B program. John’s deep knowledge of regulatory compliance lends invaluable insight to his litigation practice. John represents and advises healthcare providers on ERISA and managed care reimbursement litigation, commercial business litigation, healthcare fraud lawsuits and investigations, peer review hearings and employment disputes. In addition to jury trial experience, he has handled numerous arbitrations and administrative hearings. John’s litigation successes include obtaining numerous pre-trial dismissals of lawsuits, including a summary judgment in favor of a large hospital in a civil False Claims Act lawsuit. Additionally, he has obtained favorable settlements for healthcare providers in reimbursement disputes with commercial insurance payors and ERISA plans, won a reversal of a finding of ERISA preemption on appeal, and garnered favorable results for clients following arbitrations and administrative proceedings. Prior to joining Nelson Hardiman, John practiced at the Los Angeles office of a law firm dedicated solely to the representation of healthcare providers and suppliers, where he focused on managed care litigation, medical staff and peer review compliance and litigation, as well as commercial litigation. John also served as a Law Clerk to the Presiding Justice of the Texas Third District Court of Appeals after finishing law school.